DJ Xclusive Is A Year Older Today! 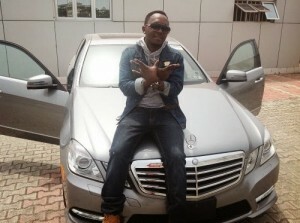 DJ Xclusive is undoubtedly one of the most prominent and highly rated DJ in Nigeria today. The super talented DJ who has worked with loads of celebrities including UK’s Sway and Lethal Bizzle as well as U.S. Superstars like Day26, Nas, Fat Joe, Brick & Lace, Kid Cudi, Jeremiah, NeYo, Ray J and many more, is also Wizkid’s official DJ, Cool FM 96.9’s resident DJ and ChannelO Africa’s Bassment DJ. The financial computing graduate is a year older today, October 16th, 2012. Here’s wishing DJ Xclusive a happy birthday. LOOKING To Promote Themselves In Lagos,Nigeria BB pin:21BB8342 or Call 08063258075. SERIOUS INQUIRIES ONLY!